About a month ago , NYFW showcased some finest creations. I was inspired by the beautiful colors , silhouettes , gorgeous fabrics and wanted to interpret them in my style. My brushes , pens , paints worked quick and fast , trying to keep up with the shows as the models wearing them sashayed down the runway. 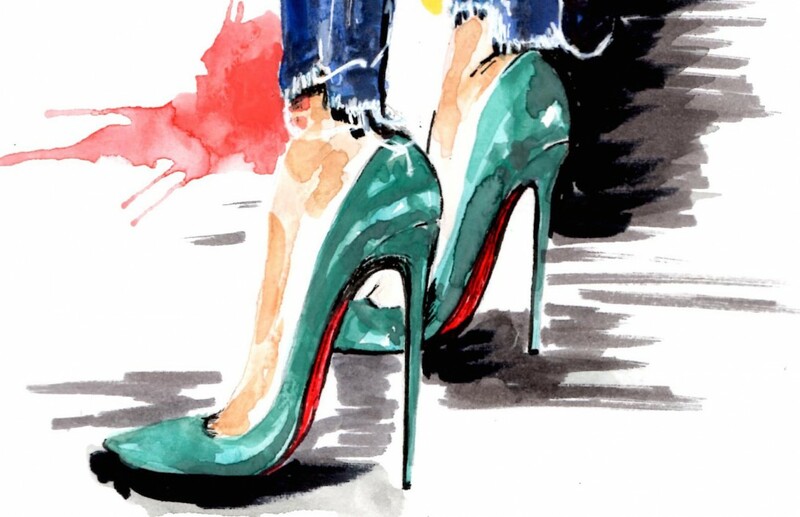 Last weekend , I was reading an article on WhoWhatWear – Your Ultimate Guide to Fashion’s Best Illustrators . I knew most of the illustrators. They are uber talented with a client list that is so enviable that you will turn green – for sure. Go check out the list – it showcases some amazing illustrators .